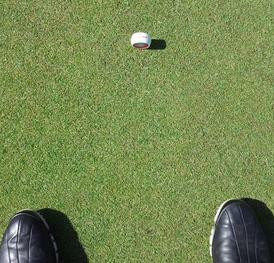 Never HIT your putt again. 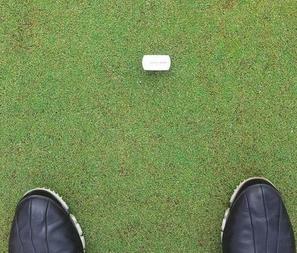 Learn to ROLL it like a wheel with PutterWheel! Fig. 1. 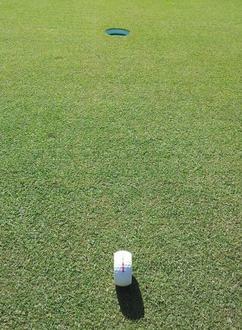 Aim every putt on a specific line. Fig. 2. See inner red ring, too far from ball. Fig. 5. 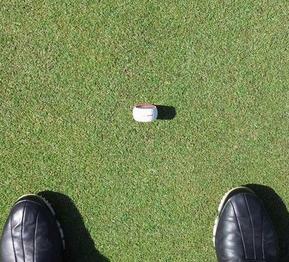 A mis-hit of the PutterWheel will cause it to wobble off the club face. Fig. 4. See just white top of ball, just right! Your eyes are directly over the ball. See below for more info on how PutterWheel saves you strokes on the green! 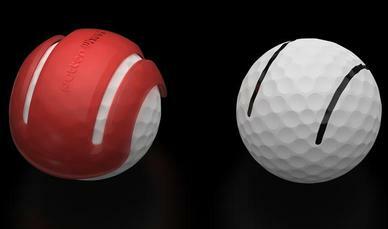 PutterWheel named Best Training Aid at the Golf Europe Conference 2014 in Germany! See Video and Comments from GolfWRX.com! PutterWheel on TheGolfChannel.com with Matt Ginella! PutterWheel named one of the Morning Drive's Favorite Products from the Show!